The beautiful Jefferson “Library” bed from More Space Place of Jacksonville and St. Johns is a perfect combination of classic purity and practical ingenuity. The center doors effortlessly glide to each side of the cabinet allowing access to one of our world-famous Murphy beds. Designed with cushioned stops, the library bed’s self-centering doors open and close with incredible ease for simple and uncomplicated everyday use. The Jefferson adds functionality and storage or display space to a room and still preserves the use of an exceptionally comfortable bed. Why Choose the Jefferson Library Bed? 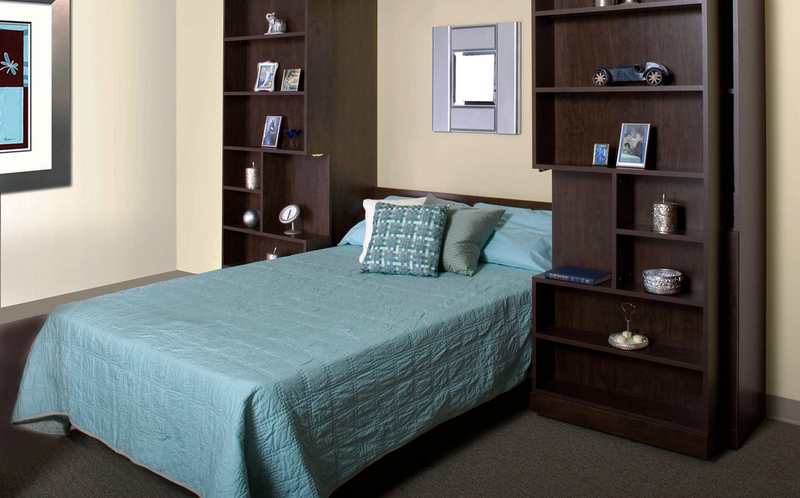 Whether you’re a book lover or have just found that you have accumulated a large collection of books over the years, the Jefferson Library Murphy bed might be the perfect solution for you. The sleek design is the definition of efficiency and utility. The shelves provide ample storage for your books and other belongings, and they open to reveal a hidden bed for a comfortable night’s rest. This style of bed is ideal for people who need extra storage but are also especially concerned with the aesthetic appeal of the furniture. All of our Murphy bed styles look great as part of a home’s decor, but the Jefferson bed has a certain kind of attractive look. 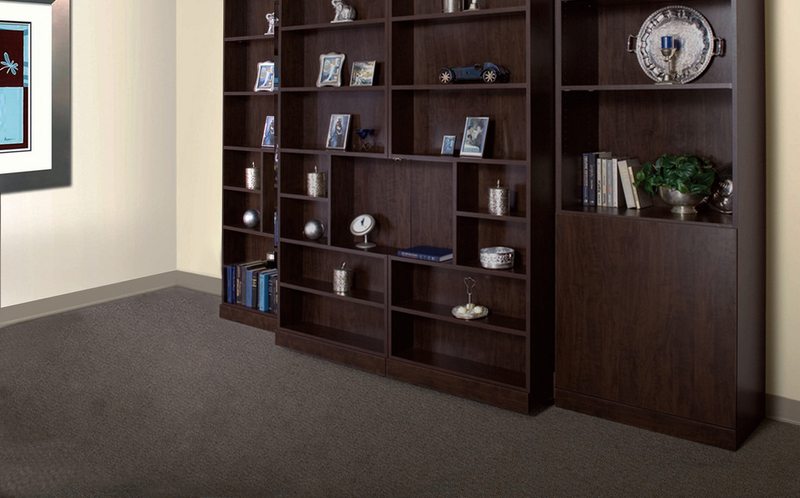 It easily blends into any room, as it has the ability to look like a sophisticated bookcase. 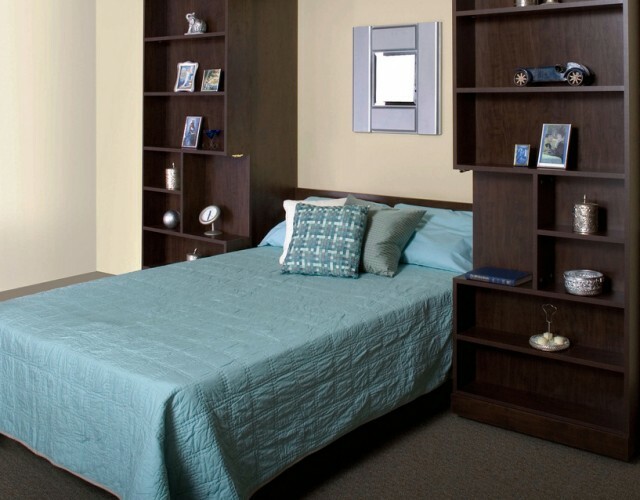 If you’re ready to learn more about the Jefferson Library bed, or if you have questions about which Murphy bed style is right for your Jacksonville or St. Johns home, call More Space Place Jacksonville today! 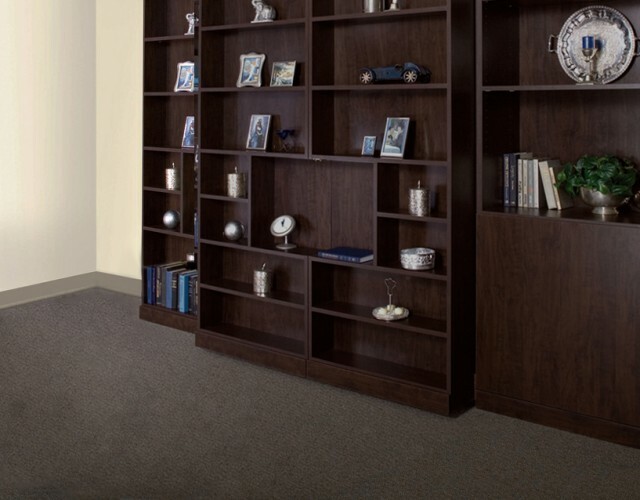 We offer free estimates, and we can help you find the perfect custom storage solution for your needs. Book a FREE design estimate by filling out the form below and one of our designers will contact you to confirm your appointment! Select your areas of interest below. To set your complimentary appointment, please choose a first and second date and time. Appointments are available Monday through Saturday. Be on the lookout for a call from one of our designers confirming your appointment.